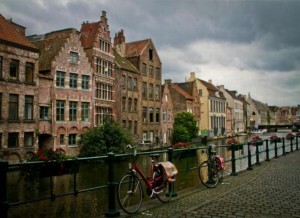 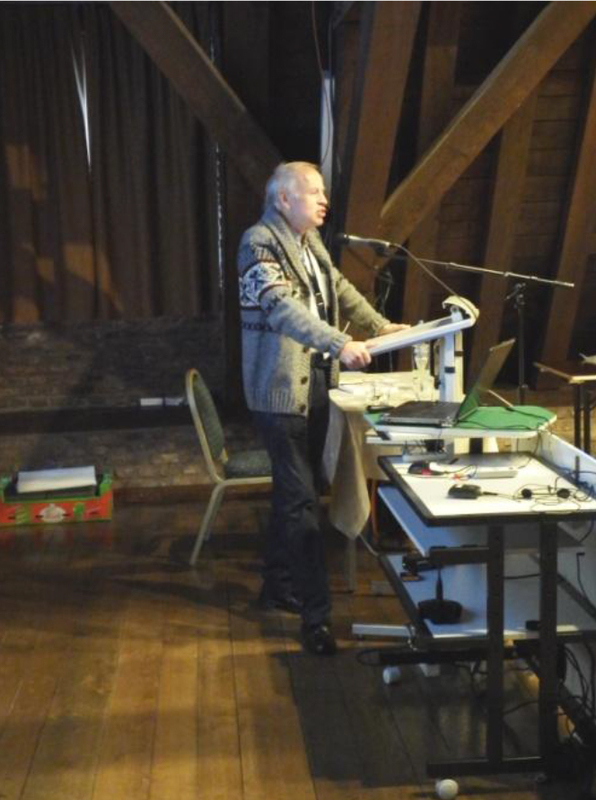 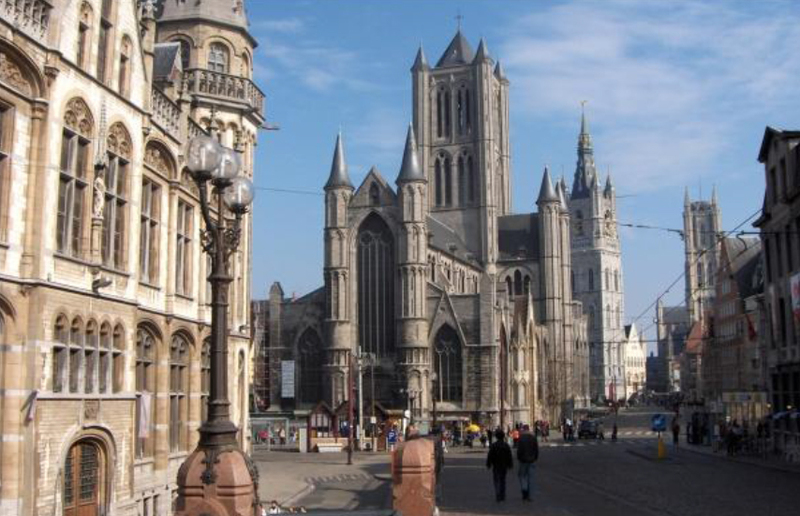 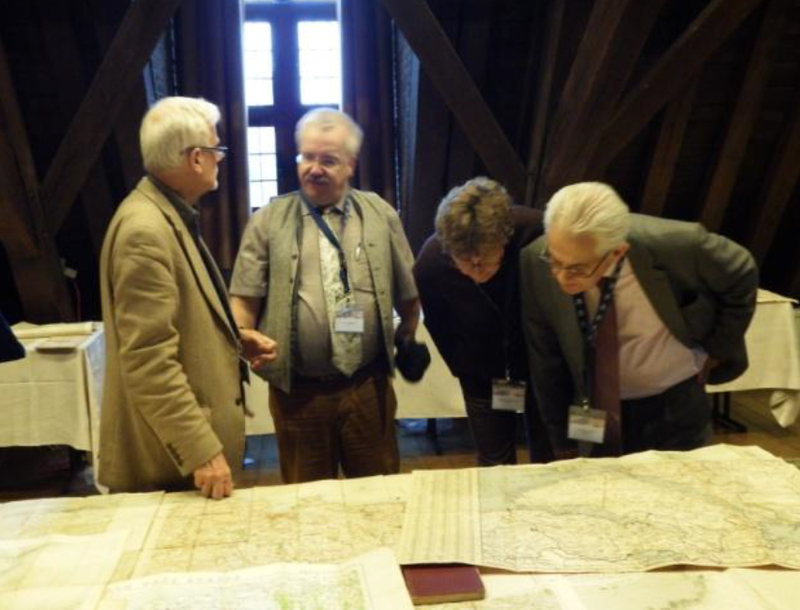 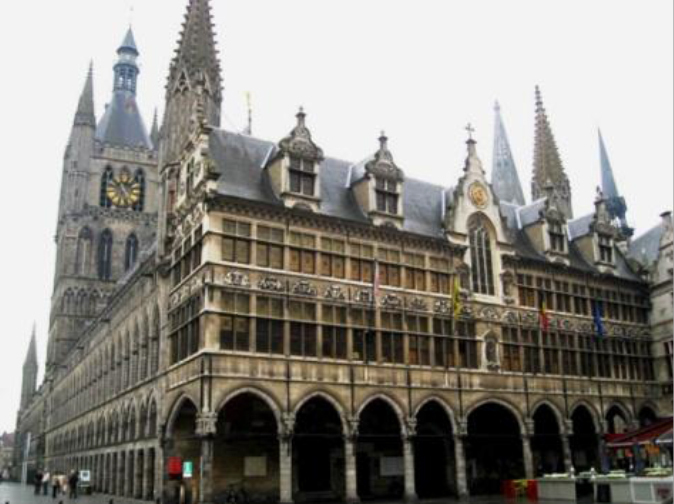 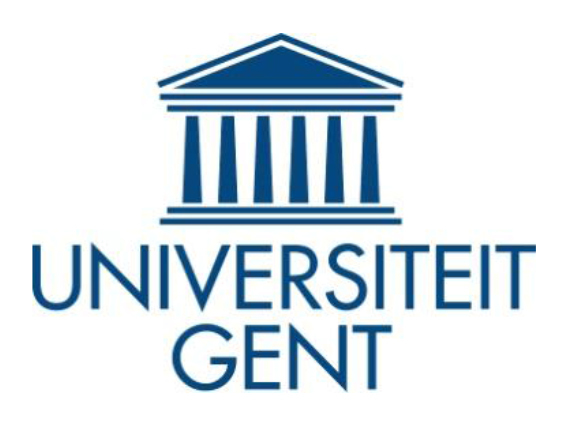 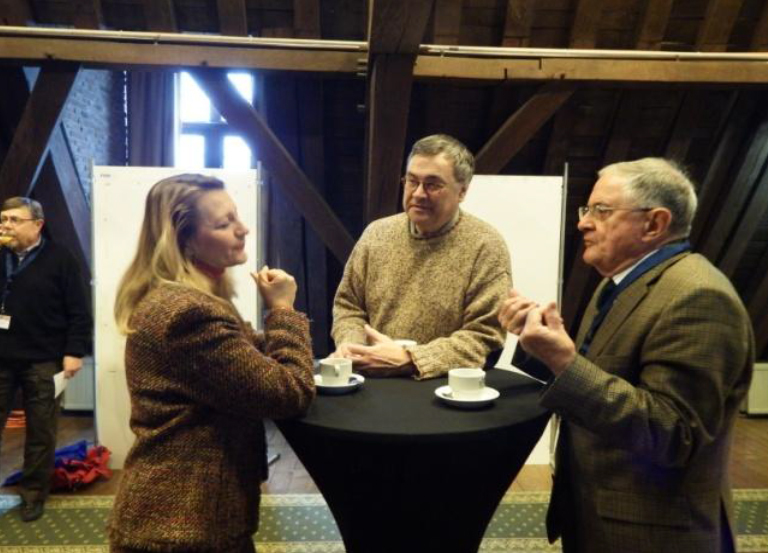 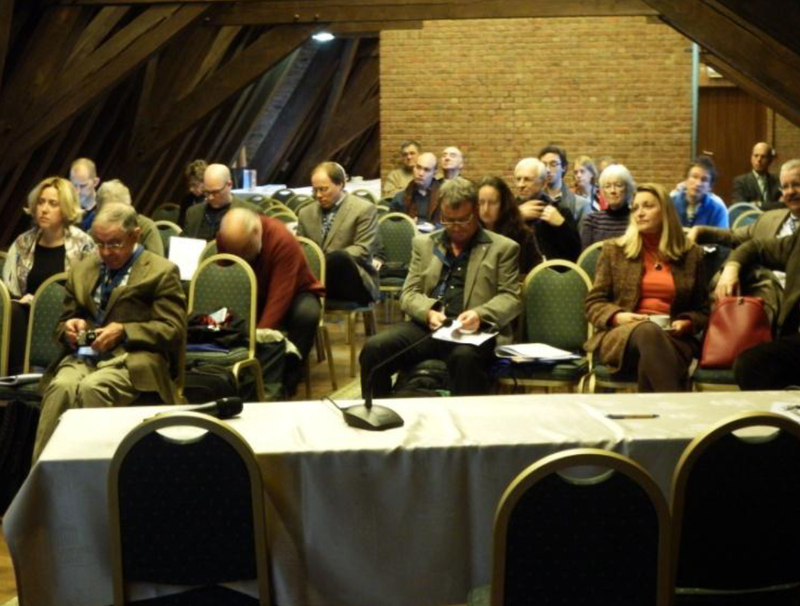 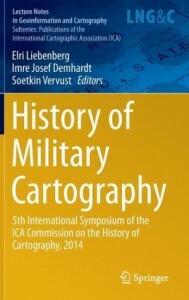 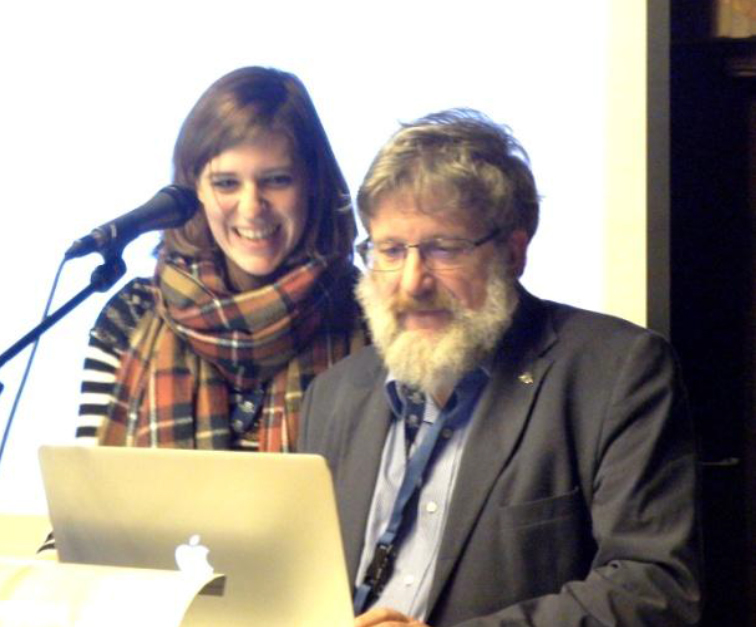 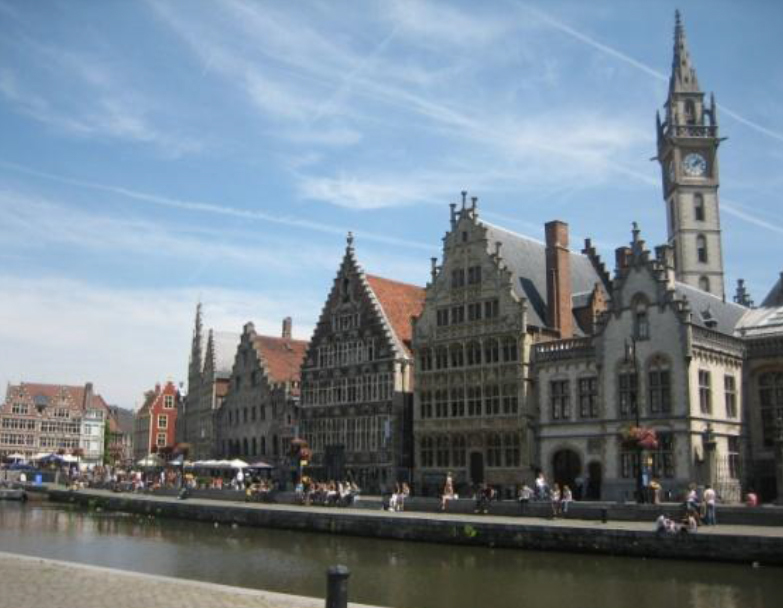 The ICA Commission on the History of Cartography held its 5th International Symposium at the University of Ghent in Belgium from 2-5 December 2014. The Symposium was jointly organised by the ICA Commission on the History of Cartography, the ICA Commission on Map Production and Geo-Business, and the Brussels Map Circle (BIMCC) in collaboration with the Department of Geography of Ghent University, and the Research Foundation Flanders (FWO). 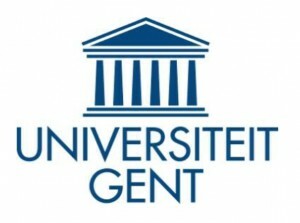 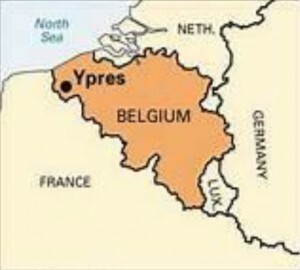 The various paper sessions were held at the University’s conference centre “Het Pand”. 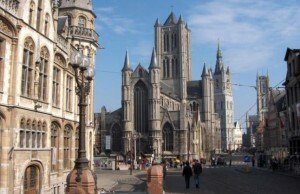 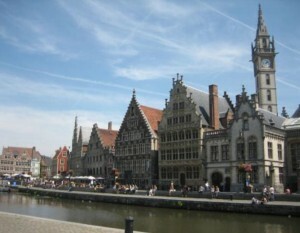 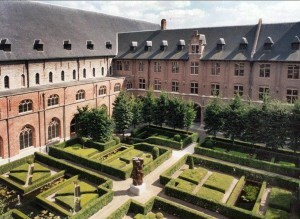 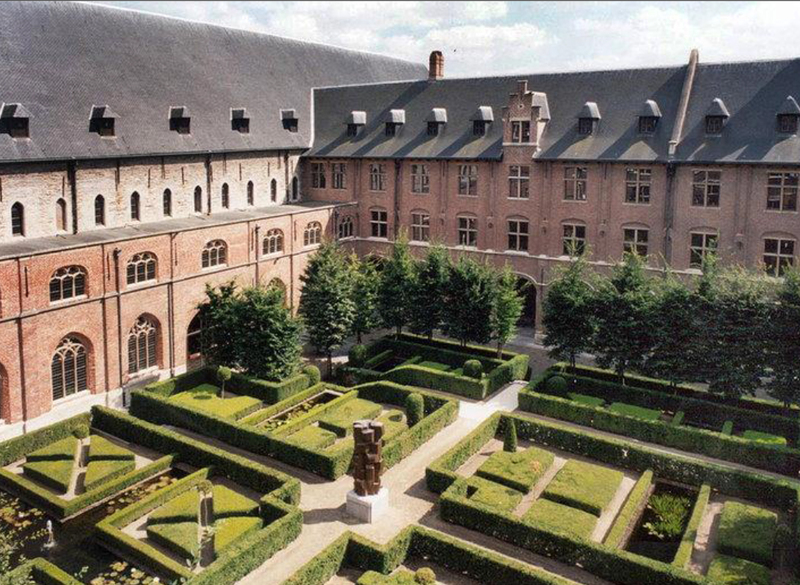 “Het Pand”, a former Dominican monastery, now the official conference centre of the University of Ghent. 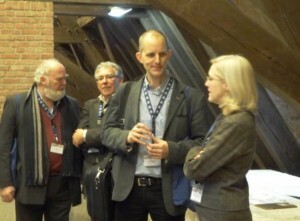 Karen de Coene and Joost Depuyt with Jan Jürgen Espenhorst from Germany addressing the Symposium audience in Het Pand. 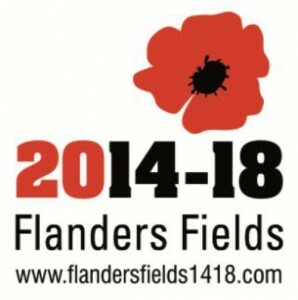 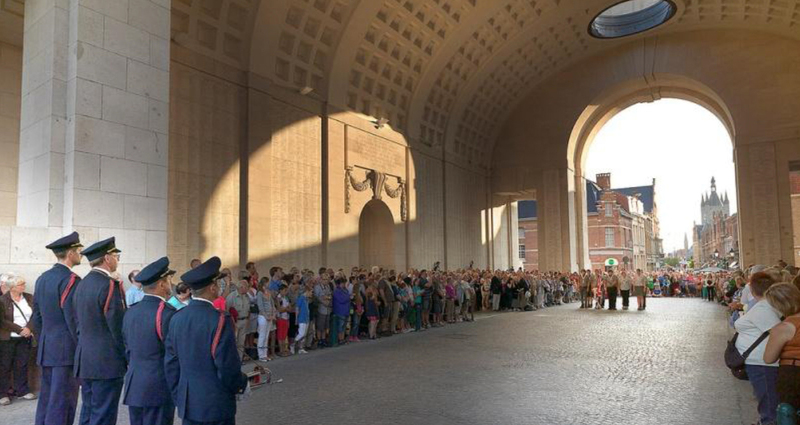 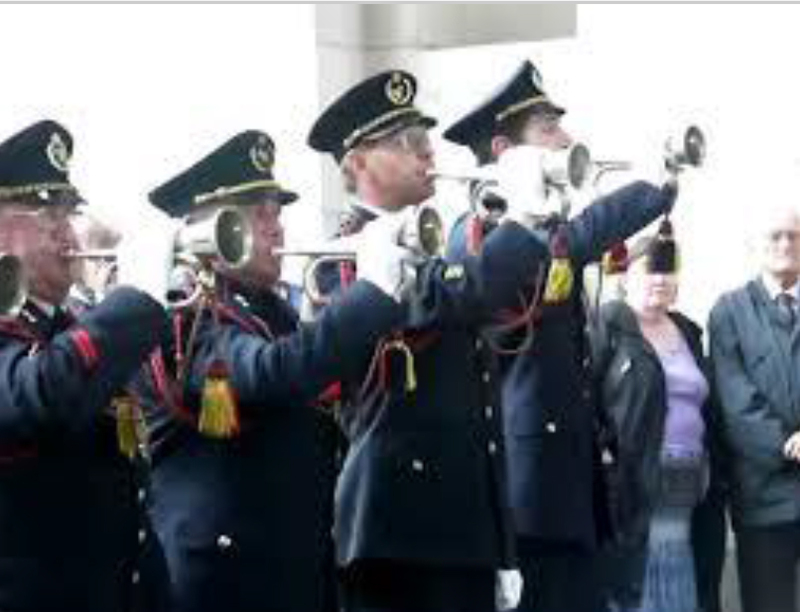 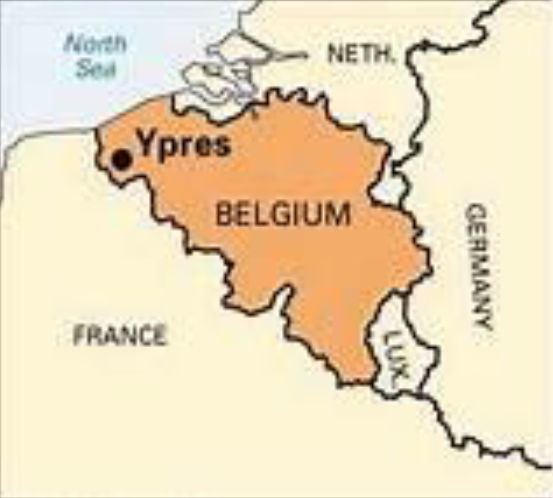 The social aspect of the Symposium was well catered for with a guided visit on Wednesday 3 December to the “In Flanders Fields Museum” in Ypres which is dedicated to exhibits relative to the First World War, followed by dinner and the attendance of the daily Last Post Ceremony. 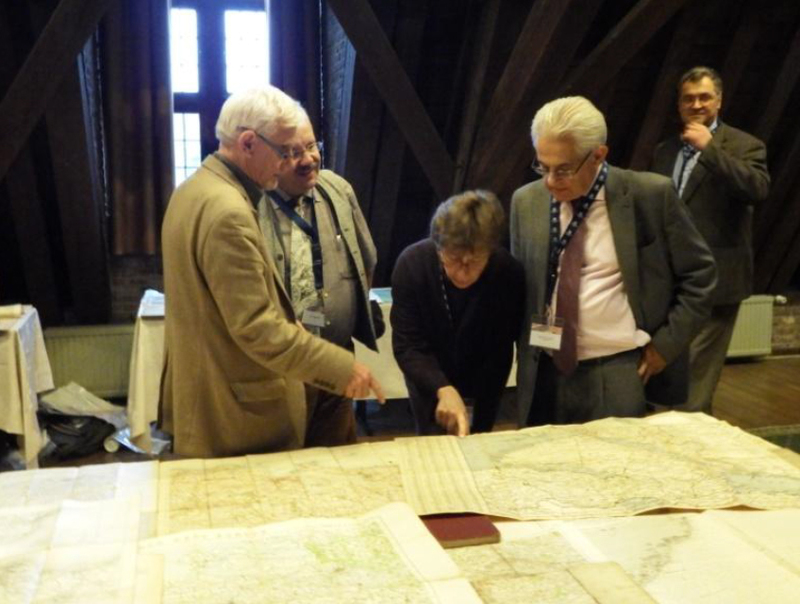 The conference dinner took place on Thursday 4 December, while on Friday 5 December there was a guided visit to the Mercator Museum in St Niklaas.